With the newly designed Frestyle brushless motors, the Emax Buzz pushes new boundaries in terms of performance. While the 4S version comes with 2400KV motors and Avan Flow 5043 propellers, the much powerful 6s edition with 1700KV motors and Avan Scimitar 5026 blades. 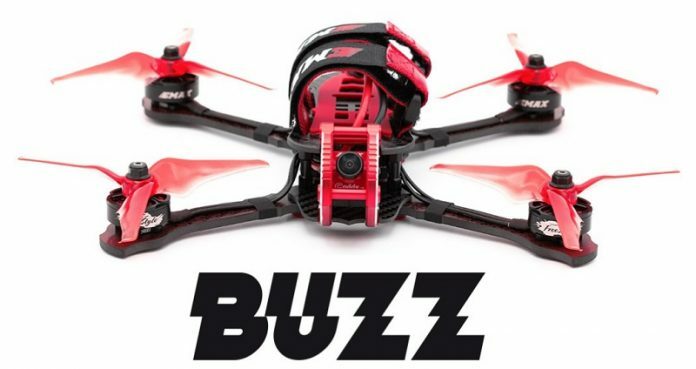 Both Emax Buzz variants are build on the same type of 245mm sized 3K woven carbon fiber frame. Like in case of the GOFly-RC Scorpion, the battery is installed on top of the air-frame using two velcro bands. 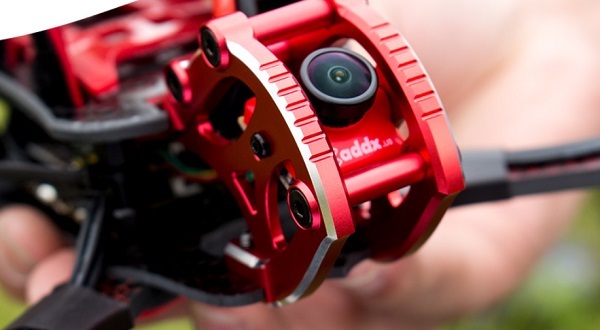 The Caddx Micro S1 camera is well protected by an aluminium frame. The real-time image transmission is achieved using a 5.8G/37CH VTX. XT60 battery plug (1300-1800mAh 4S LIPO or 1000-1300mah 6S LIPO).